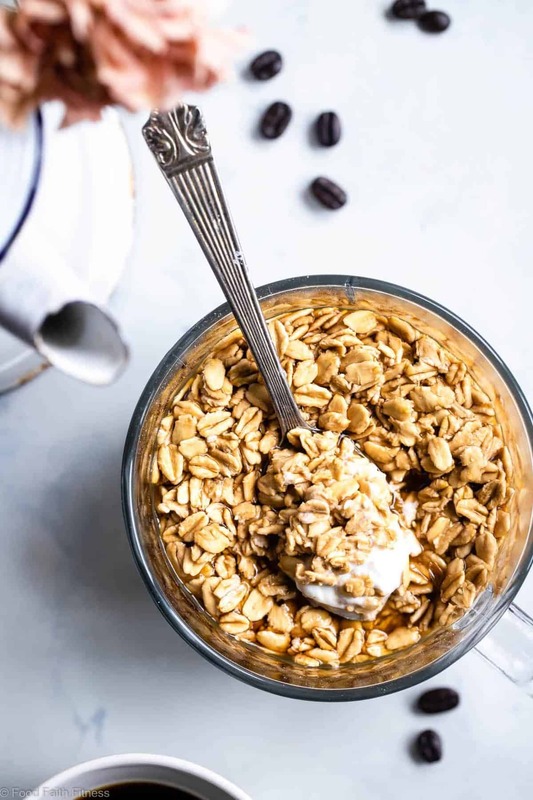 These Latte Overnight Oats with Greek Yogurt are a simple, 5 ingredient and protein packed way to start your day! Make them ahead for easy mornings! Hangry-need-energy-you is on the prowl and I GOTCHU with these L-A-T-T-E overnight oats with yogurt! Yes, my internet friends, if prepared-planner-person you had got her shenanigans together LAST NIGHT, you would be walkin’ STRAIGHT to the fridge – no stumbling here – and getting your food and coffee fix ALL in one BOWL. Not to mention a 1-2 punch of protein and fiber to keep you from having to snack on a billion paleo protein bars until lunch. 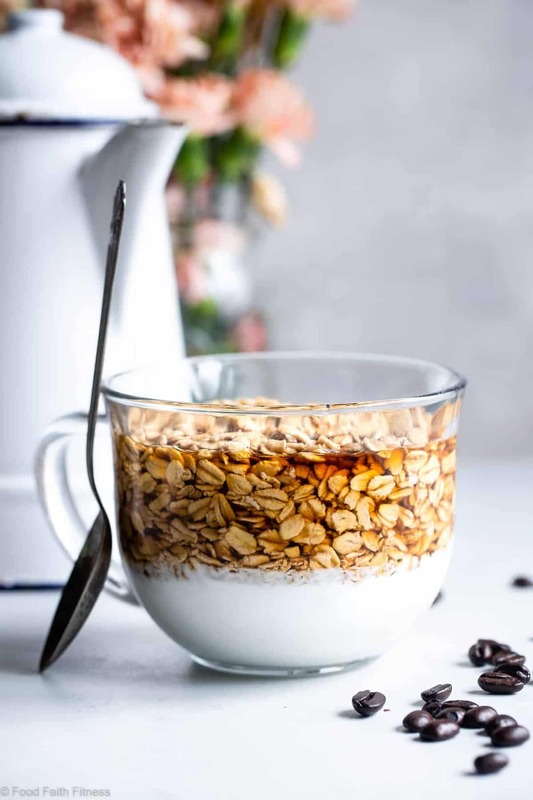 Wholesome, filling, COFFEE deliciousness is the name of our breakfast game and something tells me that you might not hate rolling out of bed knowing that these oats with yogurt are waiting for your lovely face to MUNCH them UP. 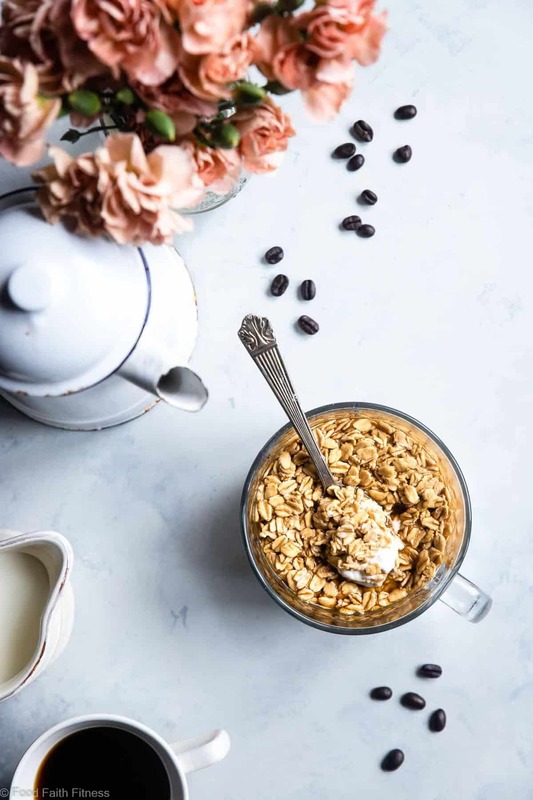 Just add this cold oats recipe to your list of cookie dough overnight oats, chocolate peanut butter overnight oats, gluten free cinnamon roll overnight oats AND snickerdoodle vegan overnight oats and you have a different flavor for E-V-E-R-Y morning of your work week. I can feel the excitement dancing off your taste buds THROUGH THE SCREEN. 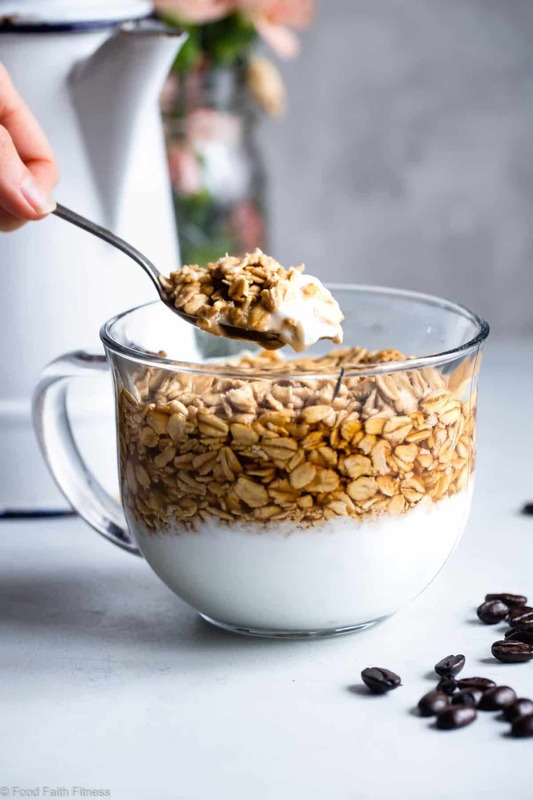 I can also feel the excitement and love you’re gonna have for these overnight oats with Greek yogurt when I tell ya that they are only 5 super-simple ingredients that I am willing to be BIG MONEY that you already have on hand. <–Not usually a gambler, but when oatmeal AND coffee are on the table, we do NOT mess around. How long do overnight oats need to soak? The best part about overnight oats is that they are best if you soak them for 7-8 hours, which just so happens to be overnight (hence the name!) So, you can make a bunch up and let them sit and mingle while you get your beauty sleep and- VOILA – breakfast awaits hangry, stumbly morning you! Can you heat overnight oats? 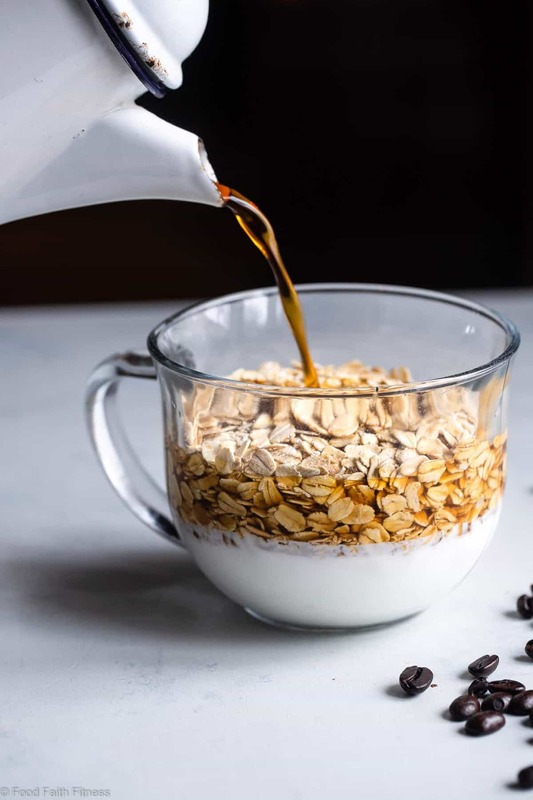 If cold oats aren’t REALLY your jam, but you don’t have time to make cooked oats in the morning, you can absolutely warm your overnight oats in the microwave in the morning. However, if you’re going to do this, I’d recommend leaving the yogurt out the night before and stirring it in once you heat! Ain’t no one out there that likes curdled yogurt ya hear? If you felt like being adventurous with morning-you’s-eats, you could also get BOLD and inventive with your latte flavor combinations. Got some almond extract? GO NUTTY! Got some rum extract? GO BOOZY. No one ever was mad about a boozy breakfast. Even if it’s just a flavor. Maybe you’re less fancy and don’t have random extracts lying around your house so you opt for different flavored yogurt! Look at you just giving coffee shops around the nation a run for their money with your crazy coffee flavors AND breakfast+coffee in ONE combos. A break-ista is what you are. Like a barista and maker of the breakfast in ONE. Move over Starbucks. MOVE ON OVER. 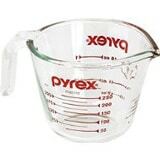 Mix all ingredients in a medium bowl, sweetening to taste. Let sit in the refrigerater for at least 6 hours - overnight. You had me at coffee! 😉 These oats looks delicious! I’m a little confused. 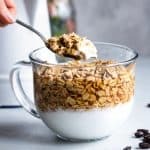 The instructions say to mix all the ingredients together, however, in the picture is it shows that it’s layered with the oats on top and Greek yogurt on the bottom? What’s the deal? It’s just a photo 🙂 Follow the instructions – photos are taken to look pretty!